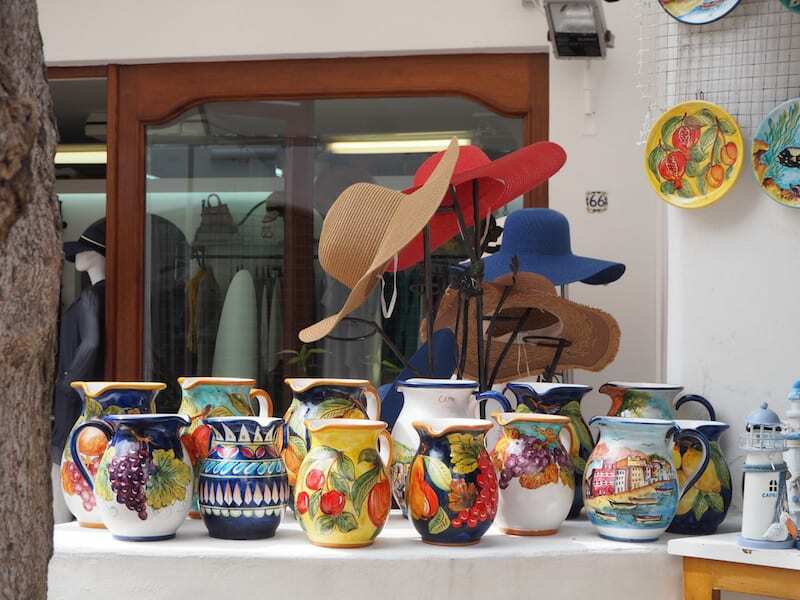 Five good reasons for visiting the island of Capri in Southern Italy. Capri. My first association is a drink. No kidding! As kids, we loved having our “Capri Sun” juice, which tasted good and carried images of palm trees, a friendly sun, as well as the sea. 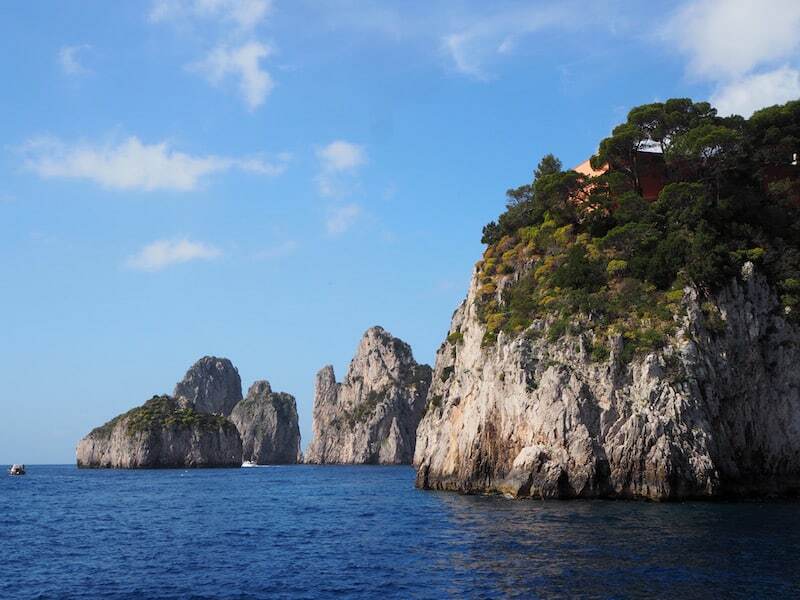 Just about the time to swap those old, kitschy images though, for some real sense of the island of Capri. And what a swap it turned out to be. 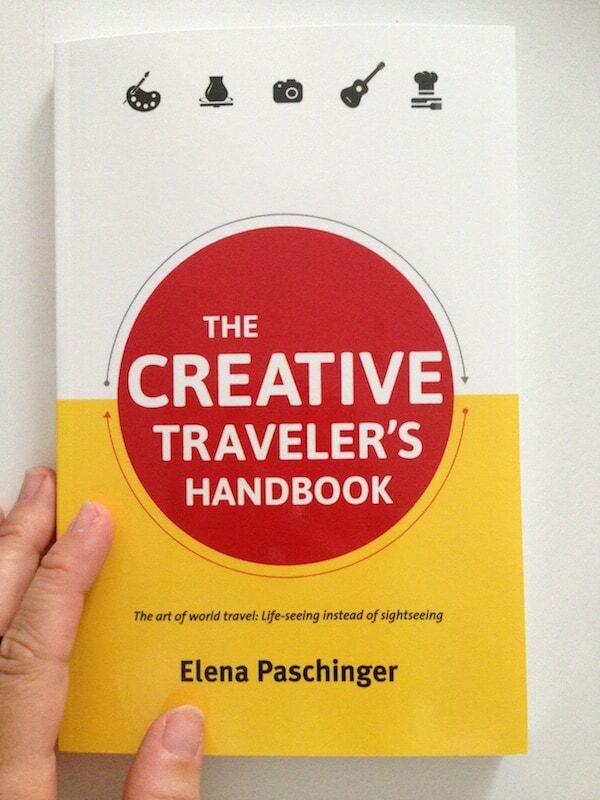 … straight out of a photographer’s handbook. 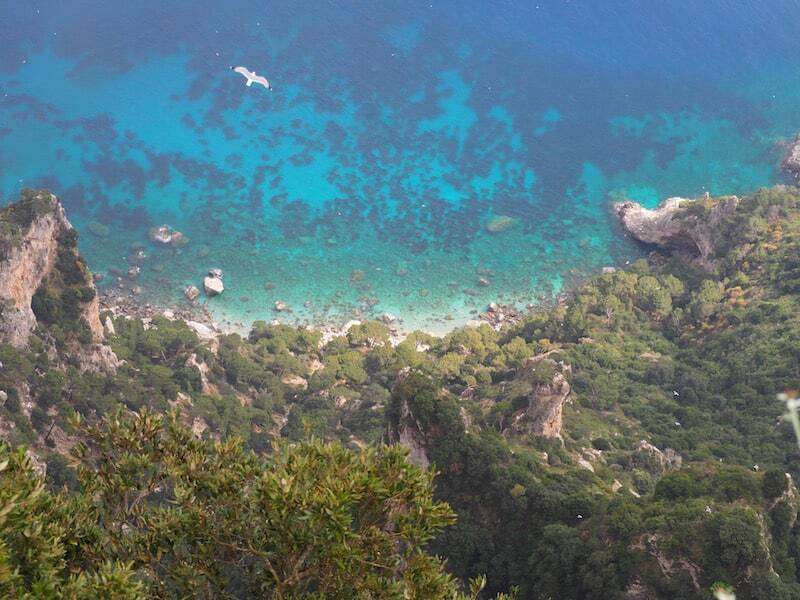 Capri, you beauty. Do make a point of getting there one day. 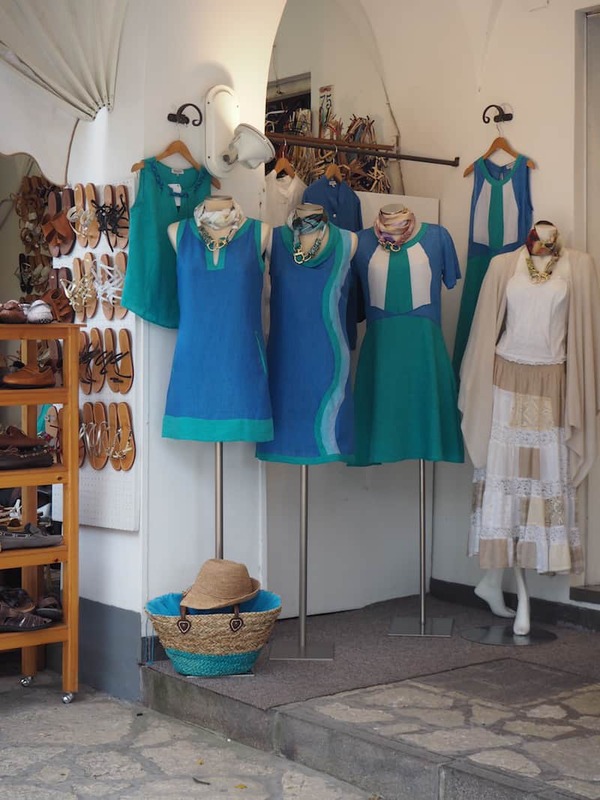 … and being tempted to buy one or two linen dresses (none of them would cost you € 6.000, by the way). 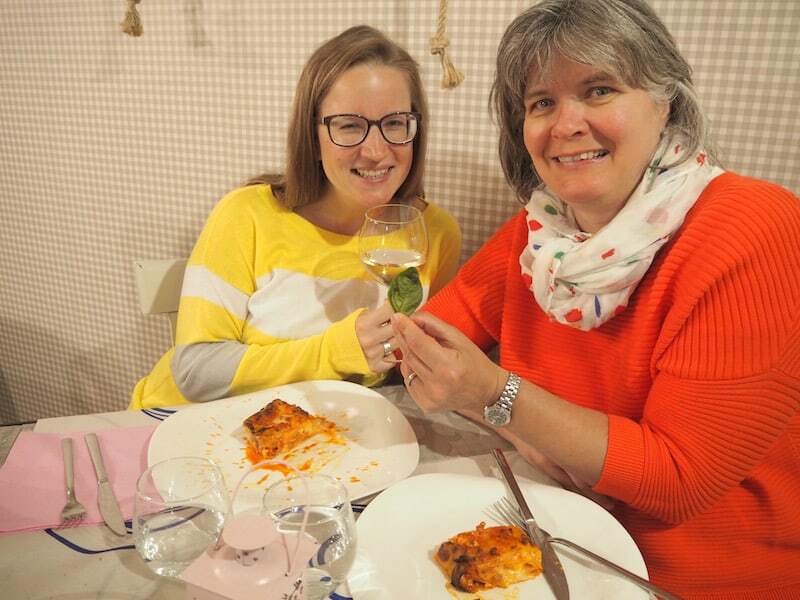 I did opt for my “Limoncello” sweater here, wearing it out for the first time back in Salerno: Read more about my language course adventure in Salerno here. 2. 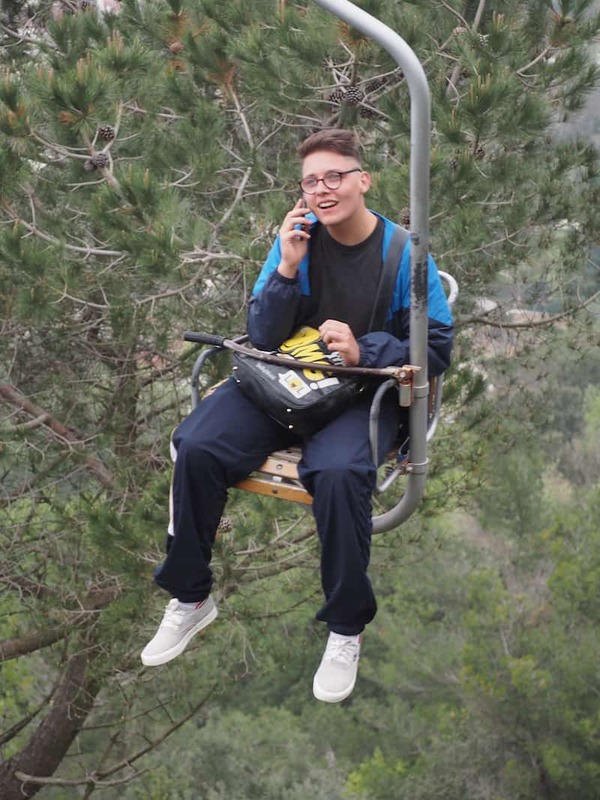 Taking the local “Funiculare” to new heights. 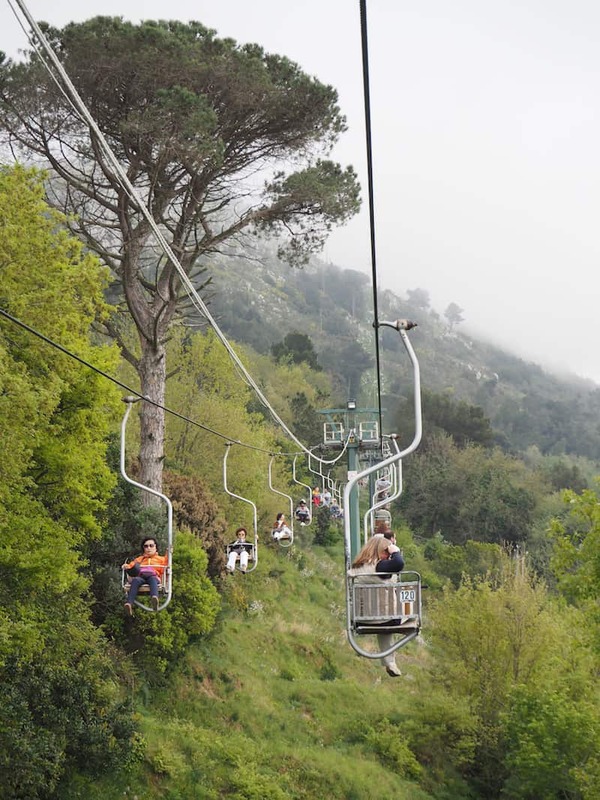 Believe it or not: Capri offers one of Europe’s last, shaky one-person-chair lifts (! ), as I have not seen them around since the late eighties! 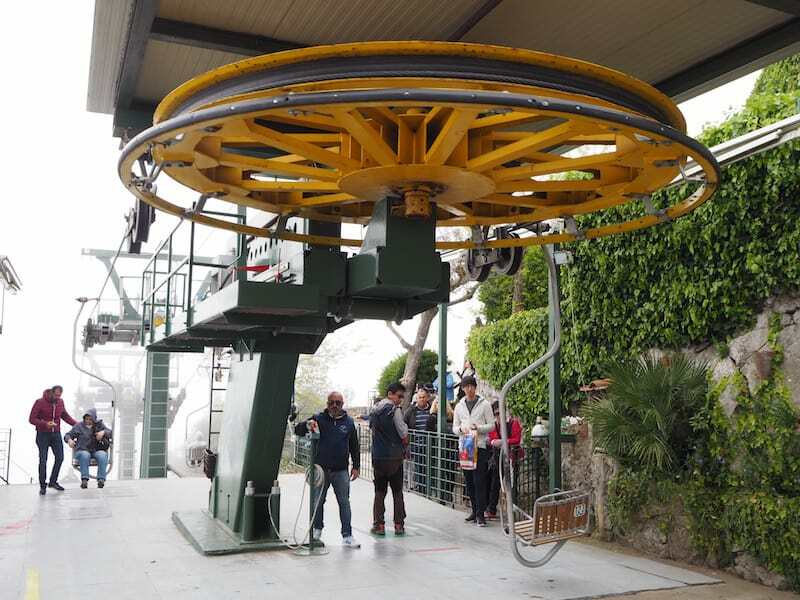 This lift is just about the only option you have for reaching the island’s summit in less than ten minutes, located right in the centre of the small town of Anacapri. 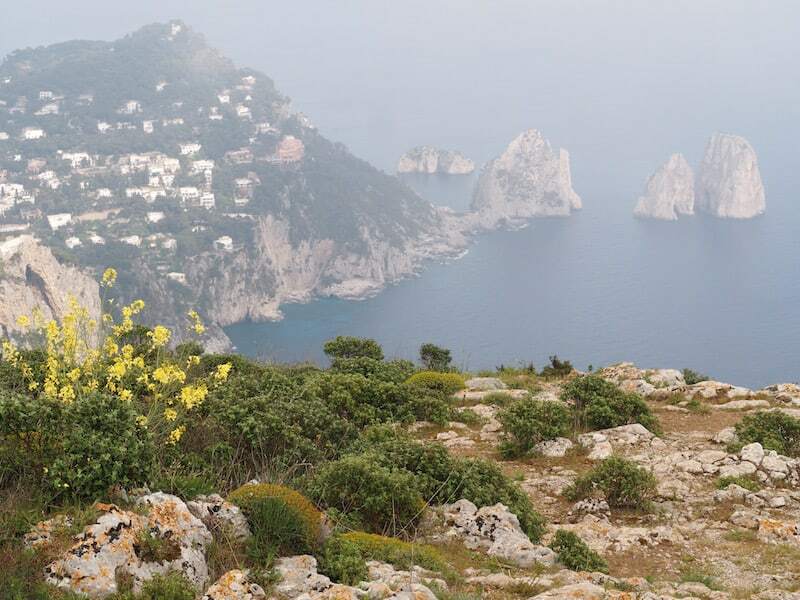 Once you reach the top, a small boardwalk will lead you past incredible vantage points overlooking the Gulf of Naples. 3. 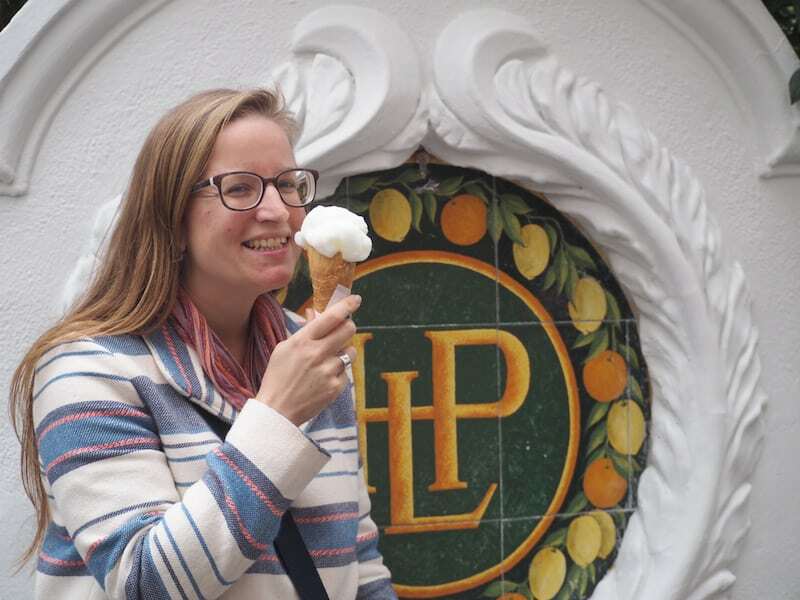 Tasting the best lemon ice cream in the world (or Italy. Or Capri ..). There is something about lemons here. 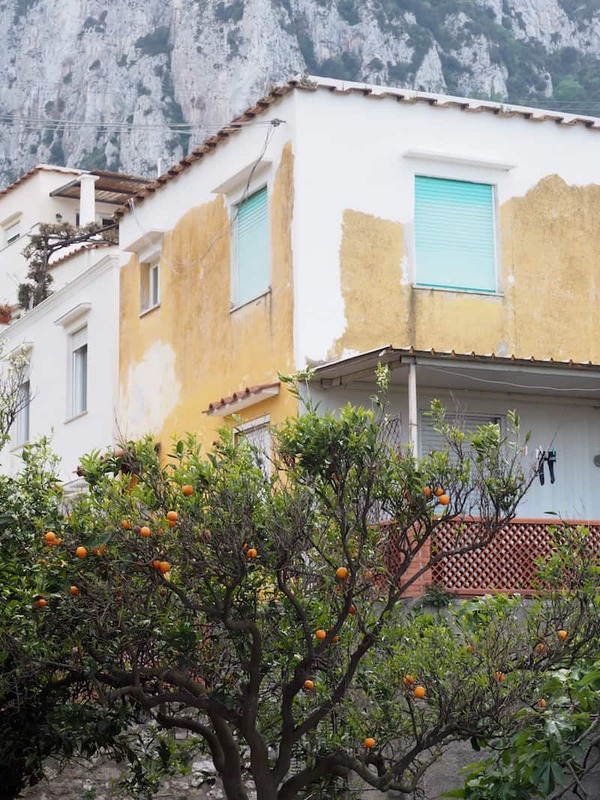 Virtually all the painstakingly built agricultural terraces along the Amalfi Coast are cultivated by lemon trees, some of which carry enormous fruit! It is neither the olive trees, nor the viticulture that’s predominantly here: The climate, as well as the soil, seem to favour lemon trees. This leads, of course, straight to a lemon ice cream tasting, which I find tastes even better with Limoncello grappa poured over it. Check this out. Limoncello lemon ice cream in Capri : “Simply the best” ..! 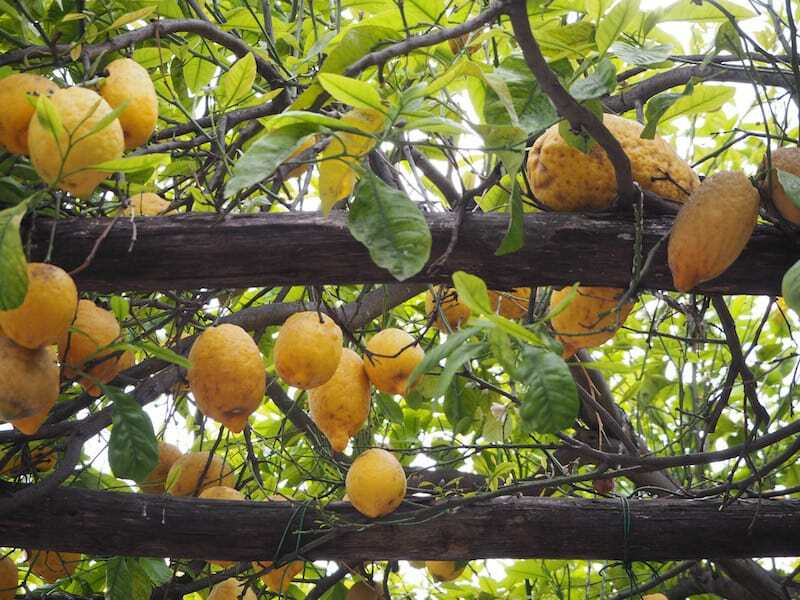 And look at the fruit: Big beauties up in those trees. 4. 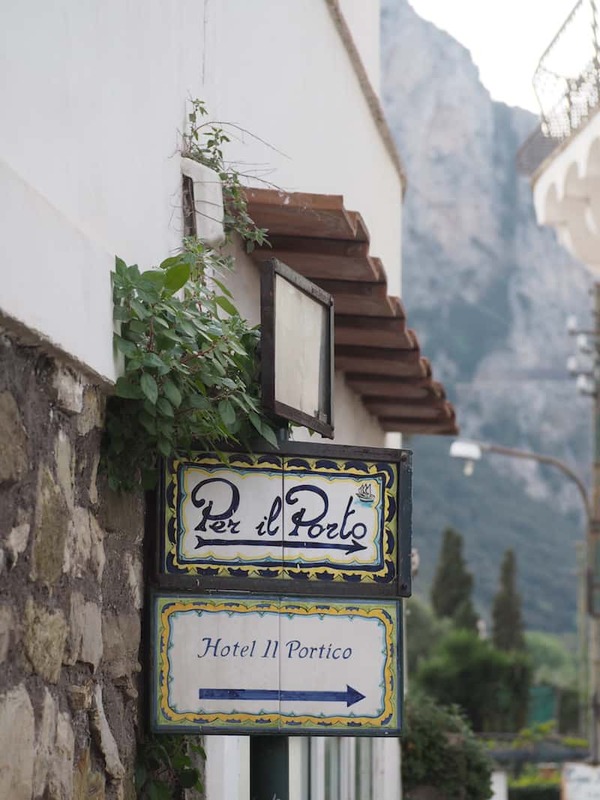 Get lost in the small streets of Capri & Anacapri. 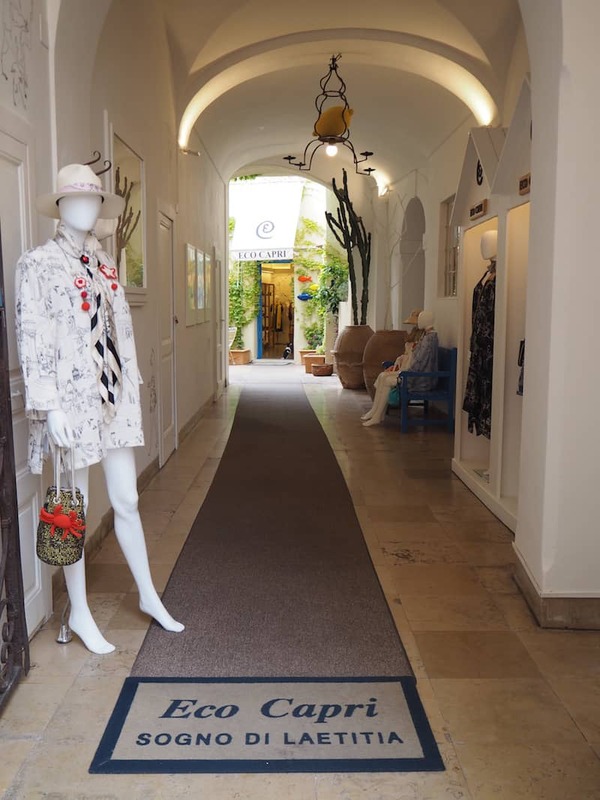 Do plan some hours for hanging around the small towns of Capri & Anacapri: If you, like us, spend the entire day on the island, you will be well rewarded for taking turns away from the masses of people. 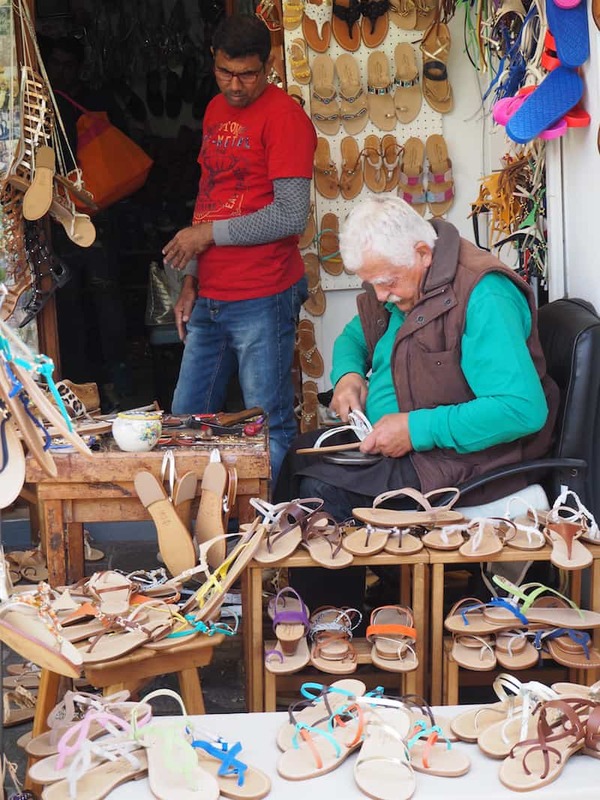 Even on a popular day, such as Easter Sunday, which reveals local festivities of their own. 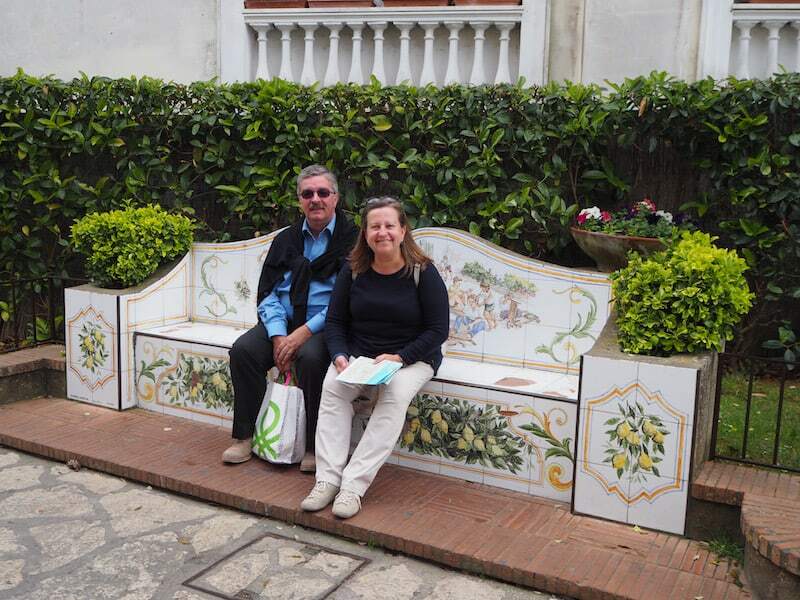 … inviting you to linger: Taking a seat on a bench in town with my lovely parents, who have joined me travelling to Capri! 5. 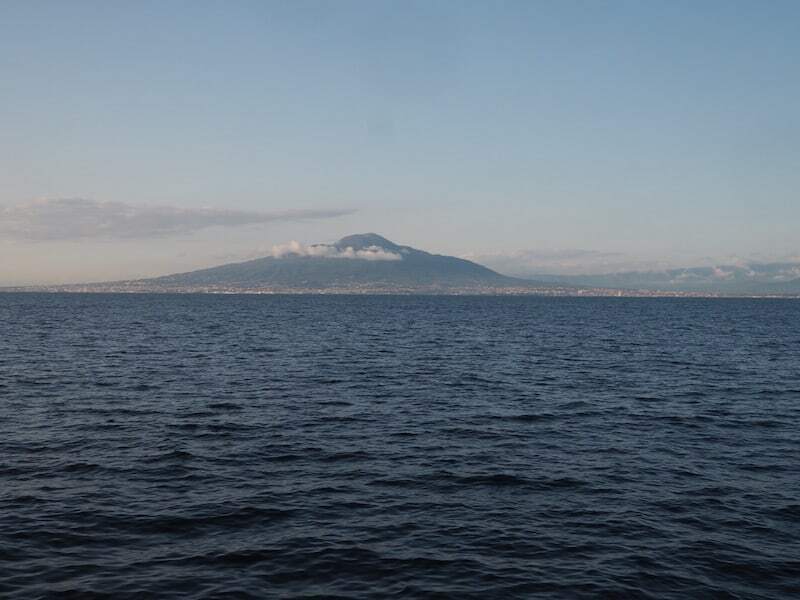 Seeing the Gulf of Naples from a special perspective. 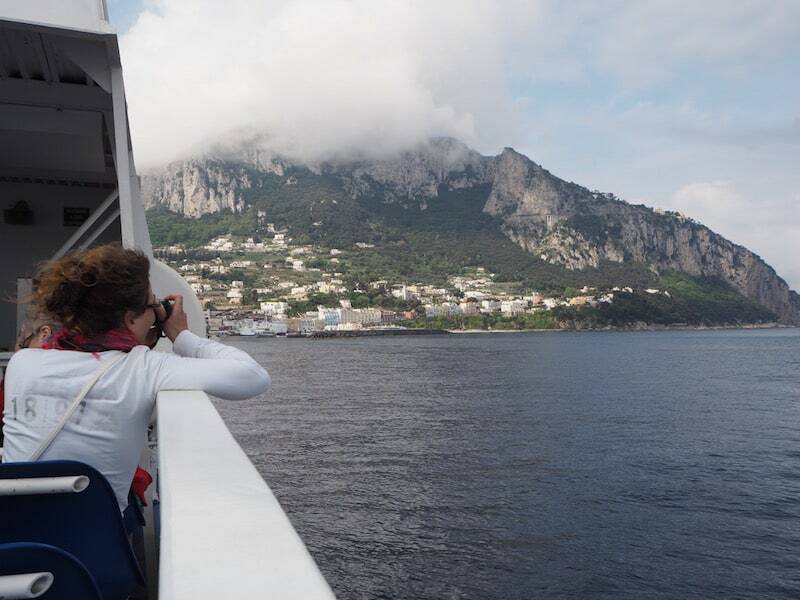 Travelling to Capri, you do get fantastic views across the sea and land around Naples, Sorrento, as well as the Amalfi Coast thrown in. And then, there is the mighty Vesuv: This volcano will just leave you spellbound, located right there among three million people (!) and known for both its fertile lands as well as its destructive force … Next up, I will tell you more about our visit to Pompeii as well as the volcano itself. Fascinating. 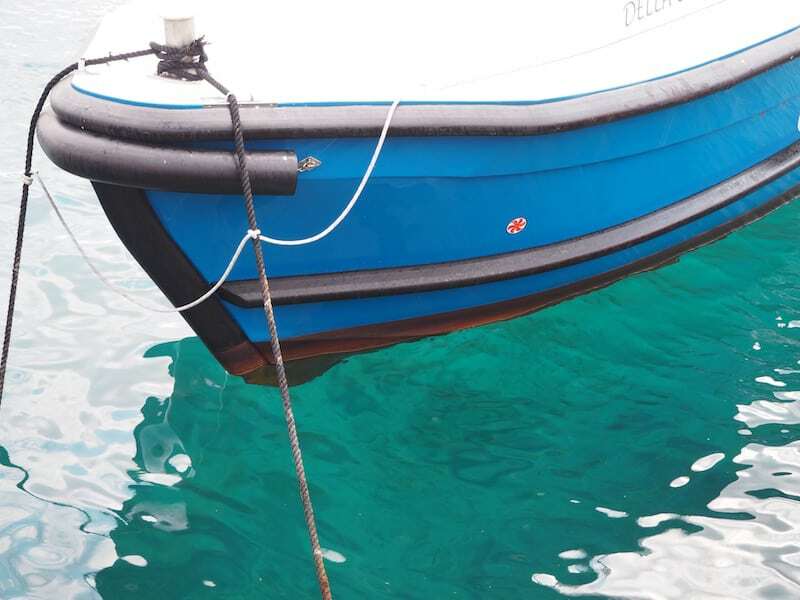 … ci vediamo a Capri! 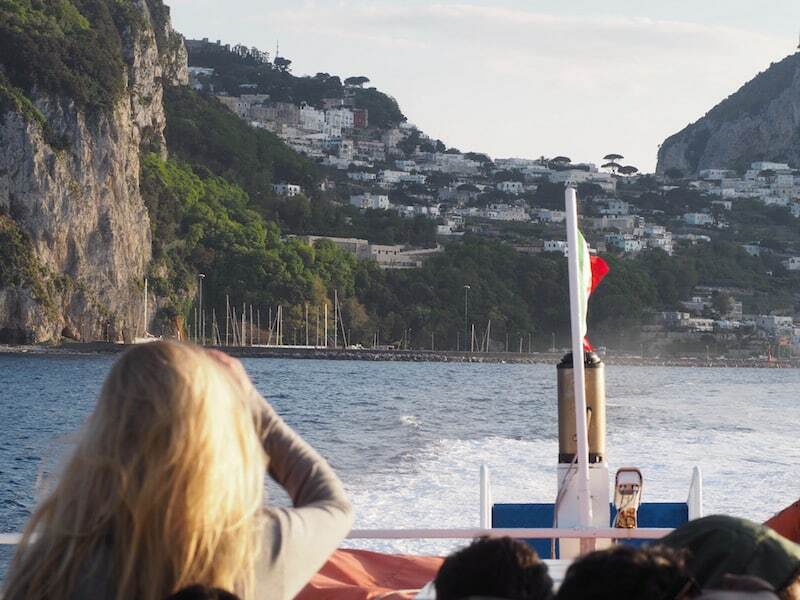 Just as fascinating: The view of Capri taking the boat from Sorrento to Positano, including a glimpse of its famous grottoes! 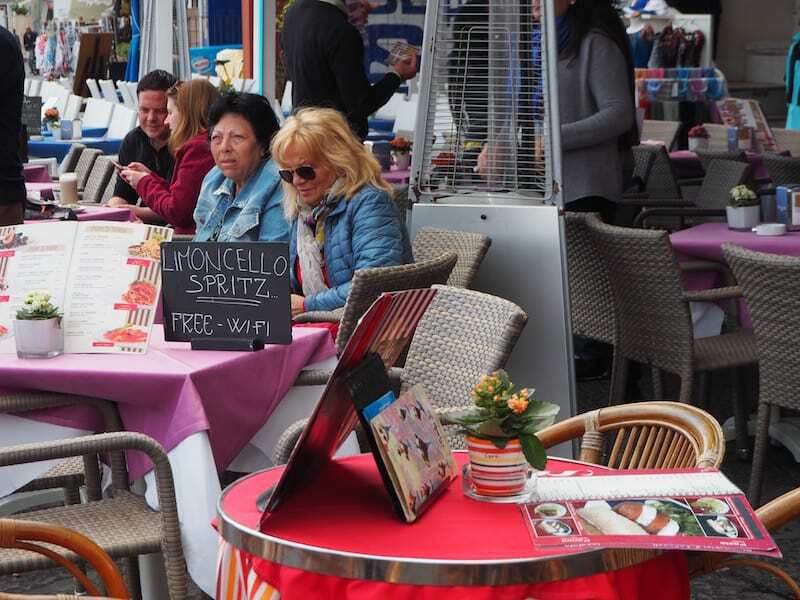 Wine & Snow, here we go: The highest wine tasting in Austria is on a glacier! 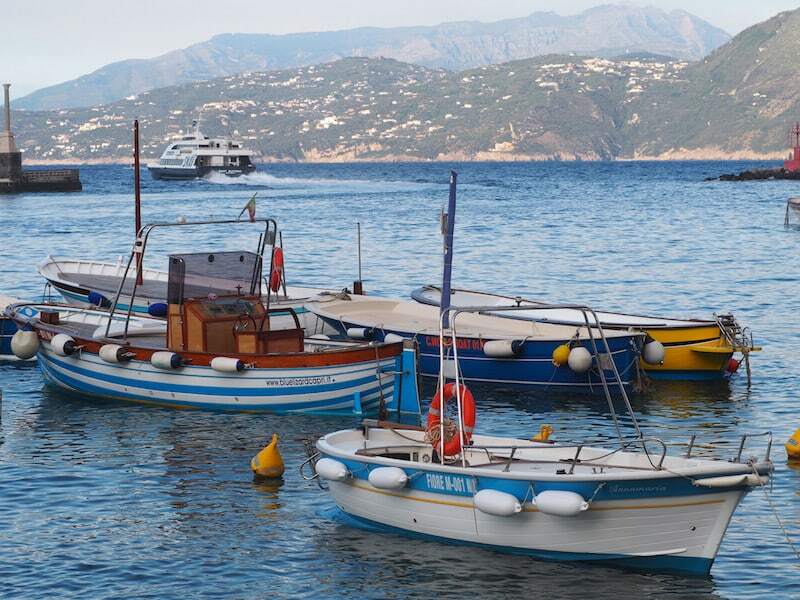 "La Dolce Vita" in the Gulf of Naples: Exploring Pompeii, Vesuvius & the Amalfi Coast.